Detached villa in Sierra Golf, Balsicas. Excellent opportunity for a great plot and position, 2 bedrooms, 2 bathrooms, open kitchen, living and dining area. The house is sold furnished, all rooms with air conditioning, grills, and the lounge with a fireplace. All the property is in one level but from outside you can access to a great solarium with stunning panoramic views. The plot size allows to build a big swimming pool and still have plenty space, it is all tiled. There are some bars & restaurant in the village but the town of Balsicas is just a few minutes’ drive, there you can find all sort of shops, restaurants, amenities, etc. 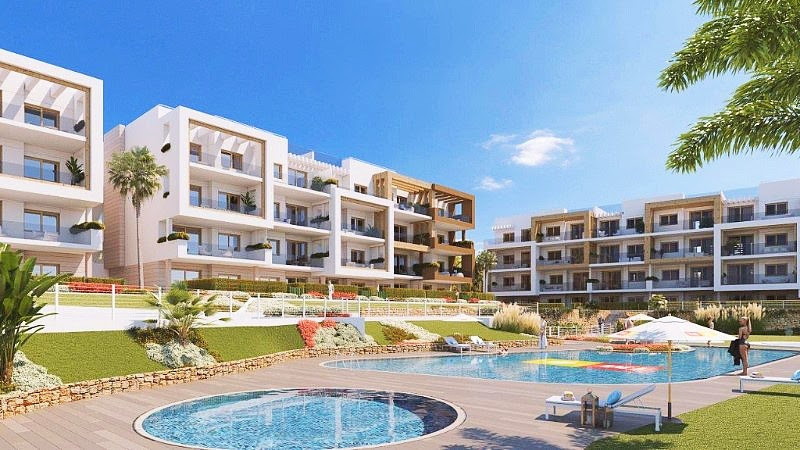 If you are keen on golf, this is the ideal location for you as the village is surrounded by several golf courses at a short distance, the beach is not a problem as it is just 15 minutes’ drive. There are no community charges and the council tax per year is 200 euros. 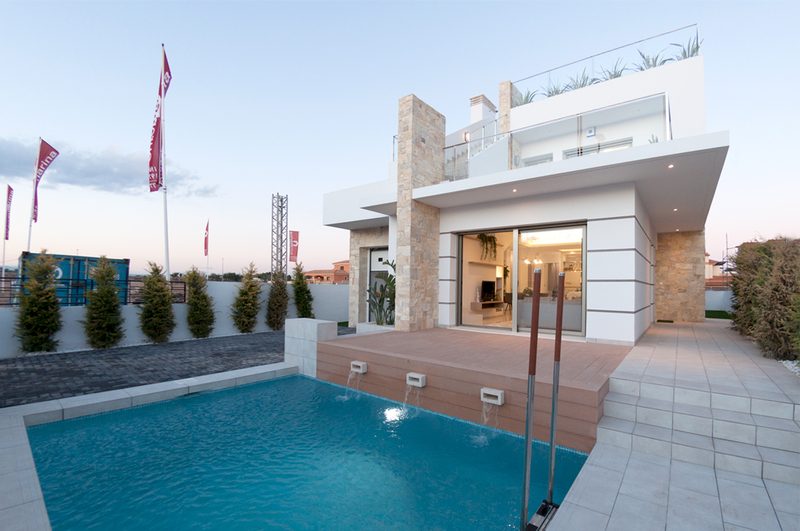 Excellent value key ready detached villas in the urbanization of Sierra Golf, Balsicas. Two bedroom, two bathroom detached villa with open plan lounge/dining area, kitchen, sun terrace, roof solarium and small garden. Fireplace in living room 59.12m2 roof top solarium 20.28m2 Front terrace Private garden with plots up to 250m2 Different models and larger styles available. The urbanisation has a 9 hole golf course, clubhouse and 2 bars. The village of Balsicas is only approx 8 mins by car. Balsicas is a small town close to the motorway from San Javier to Murcia. There is a train station and bus service making it an ideal place to live to commute to other parts of Spain. The town itself has two supermarkets, chemist, butchers, fishmongers, bakers, petrol station and banks. 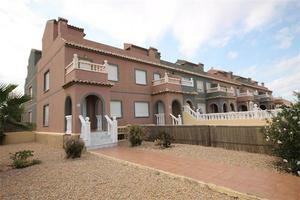 Excellent value key ready semi-detached villas in the urbanization of Sierra Golf, Balsicas. Two bedroom, one bathroom semi detached villa with open plan lounge/dining area, kitchen, sun terrace and small garden. Build 71.92 m2 Plot up to 250m2. Different models and larger styles available. The urbanisation has a 9 hole golf course, clubhouse and 2 bars. The village of Balsicas is only approx 8 mins by car. Balsicas is a small town close to the motorway from San Javier to Murcia. There is a train station and bus service making it an ideal place to live to commute to other parts of Spain. The town itself has two supermarkets, chemist, butchers, fishmongers, bakers, petrol station and banks. 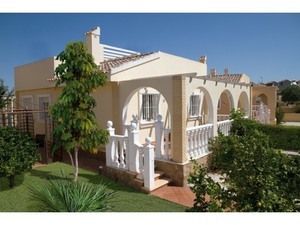 Excellent value key ready detached villas in the urbanization of Sierra Golf, Balsicas. Two bedroom, two bathroom detached villa with large basement, open plan lounge with fireplace/dining area, kitchen, sun terrace, roof solarium and small garden. 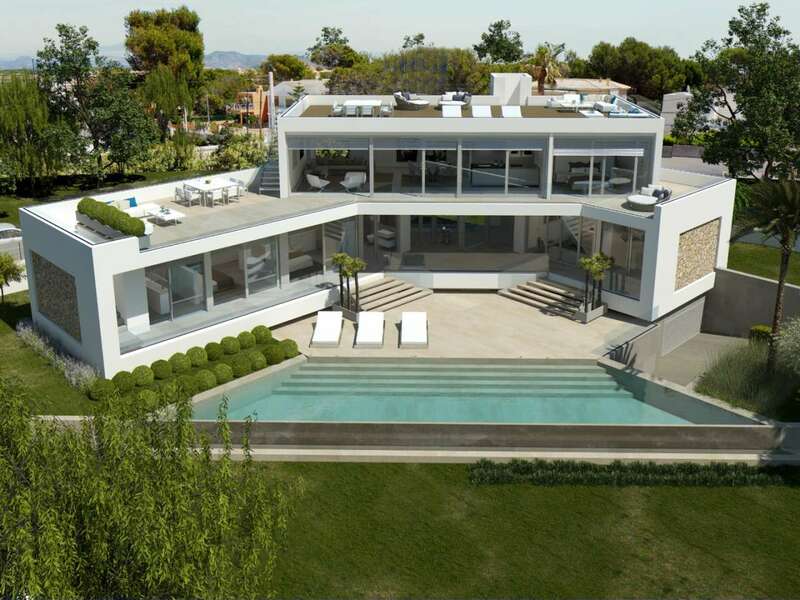 Build 74.10 m2 Terraces 20.28 m2 Solarium 59.12m2 Basement 77.60m2 Plot up to 250m2. Different models and larger styles available. The urbanisation has a 9 hole golf course, clubhouse and 2 bars. The village of Balsicas is only approx 8 mins by car. Balsicas is a small town close to the motorway from San Javier to Murcia. There is a train station and bus service making it an ideal place to live to commute to other parts of Spain. The town itself has two supermarkets, chemist, butchers, fishmongers, bakers, petrol station and banks. Brand new townhouses with a plot of 44.48 m2 from 85,000 euros. On a developing resort close to the emerging golf course and only 20 minutes from the sea and 30 minutes from the new Corvera Airport. A great opportunity to get a bargain new property at a resale price. The house is divided into 3 floors with an underground basement. The ground floor has a living/dining room, kitchen, 1 bathroom. The first floor has 2 bedrooms, 1 dressing room, 1 bathroom and terrace. On the top floor, it has a private terrace of 51.45 m2 It is 15 km from the beaches, 10 km from the current San Javier Airport and 5 km from the Dos Mares Shopping Centre. We have keys, limted availability. Brand new and close to town, up and coming 9 hole golf course. Popular for second home and retirement. A small selection of excellent value key ready detached villas on the urbanization of Sierra Golf, Balsicas. Two bedroom, one bathroom detached villa with open plan lounge/dining area, kitchen, sun terrace, roof solarium, basement with space for further bedroom or living space, small garden. 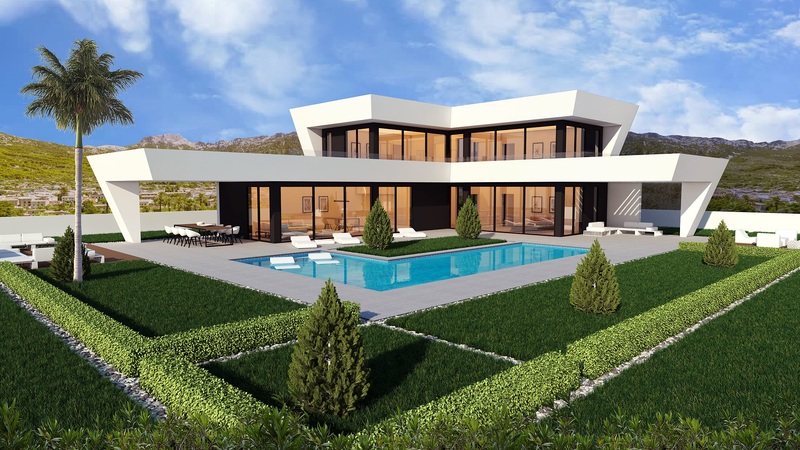 The properties offer, a great 56.88m2 roof top solarium with a 32.38m2 Front terrace and are located on a Private garden with plots up to 250m2 Different models and larger styles available. The urbanisation also has a clubhouse and 2 bars. The village of Balsicas is only approx 8 mins by car. Balsicas is a small town close to the motorway from San Javier to Murcia. There is a train station and bus service making it an ideal place to live to commute to other parts of Spain. The town itself has two supermarkets, chemist, butchers, fishmongers, bakers, petrol station and banks.